RS21 began as a discussion group regarding new directions in art. 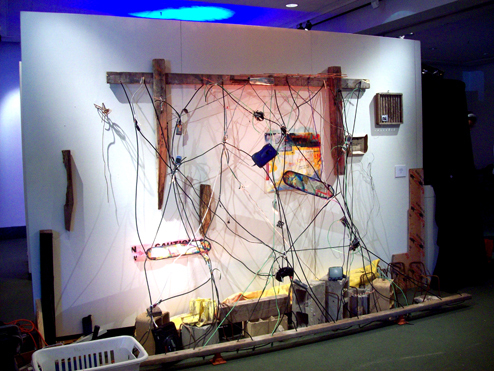 This group gained momentum and became a vehicle to test new ideas, and the 17 participants were asked to exhibit at the Orlando Museum of Art’s “First Thursdays” event in February 2009. My contribution is based on notions of the Abstract City, and how the rise of ecommerce, the internet, and virtual reality affects our physical built environment.